This week I had the pleasure of interviewing Louis Rix, Marketing Director from Netcars.com - one of the world's fastest growing online automotive sites. In this interview, Louis not only provides some insight into how he's winning big with online marketing, but also provides helpful online marketing tips any business can use to increase leads and online sales. 1. Hi Louis, tell us about your current role at Netcars.com? Currently in my role as marketing director of netcars.com I manage the relationships with our PR Company, SEO Agency and Design Agency (everything passes through me). I work closely with our internal PPC Manager and link building team. I am also responsible for reporting to the board on a monthly basis with all new and ongoing developments. 2. How has Netcars.com changed it's online marketing strategy over the past few years? We’ve only been established for 12 months. However, in that time we’ve covered a massive amount of ground. We have a very complex PPC campaign that can itemized down to a “T”. We have also launched Facebook advertising; competitions to grow our fan base and increase website traffic. Twitter has been a great tool for us to use from both a BtoB and BtoC point of view and we’re constantly engaging with our audience. Linkedin Advertising is also used to create brand awareness and drive sign ups. As a business we also invest heavily in natural search. We work alongside a very accomplished SEO Agency but we also have internal link builders. 3. What are the 3 most effective online strategies you've used to fuel Netcars.com's amazing growth? The 3 biggies are: PPC, SEO, Revenue Share Partnerships. 4. What's the biggest challenge you face when it comes to online marketing? Staying ahead of the game/competition in natural search. Constantly re-engineering our site from a user engagement point of view. 5. Do you anticipate any significant changes coming to online marketing in the near future? The huge growth of Social Media advertising and the huge rise in the number of people accessing the internet through their mobile/smart phones is leading to large increases in mobile advertising. Gamification is also a hot topic at the moment. 6. What did you do previously in your professional life that prepared you to be the Marketing Director for Netcars.com? From 2001 to mid 2010 I ran www.carfinance247.co.uk with my brother Reg. Car Finance 247 is a successful car finance broker/dealer that operates nationwide in the UK. I still own this business with my brother but due to our commitments with our new venture we have a management team in place that control the business and report into us both. While running Car Finance 24/7 I was in control of all online marketing (Affiliate, SEO, and PPC). This is where I learned and honed all of my skills that have enabled me to successfully adapt to my new role. 7. How will Netcars be on the cusp of change for online marketing? Do you plan to join the gamification trend? At Netcars we’re constantly on the lookout for new, exciting marketing ideas. Gamification is definitely something we’ll be launching in early 2012. We’ll be rewarding “net points” to users (to buy car parts for their digital car) for commenting on blog posts, writing car reviews, participating in the forum and helping our community. The end user is always in the forefront of our minds whenever we make any developments to the Netcars website. We’re going to be working hard on improving the data displayed on our “Used Brand/Model” category pages by adding videos, make/model comparison statistics and an “ask the expert” section. 8. 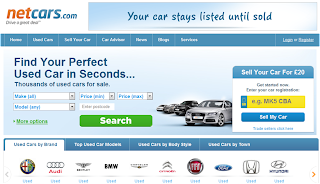 What makes Netcars different than other online automotive sites? Our motto is “We do things differently” – this is clearly displayed in our unique PPC billing model. We can also move quicker than our larger counterparts. We want to share our data whereas everyone else keeps their stats locked away. We also aim to make the car locating process an exciting one rather than a mundane task. 9. What tips on SEO can you give our readers? b. Site Architecture – this will be determined by your keyword research. Most importantly you have to make sure your site is accessible to search engine spiders. Once that box has been ticked you need to chart the funnel/architecture from your homepage to every page on your website. Do all relevant sections interlink (allowing link juice to follow)? Make sure you have your most important pages at a maximum of 2 clicks away from your homepage. c. Link Building – Quality over Quantity! Obtain links from relevant, authoritative partners, sites talking about your products. Obtain guest posts/articles from highly respected websites. Make the most out of your PR efforts – syndicate press releases online (with back links embedded). d. Constantly engage via Social – Facebook shares and tweets are being indexed by Google and are a ranking factor. Make sure you’re engaging with your audience and offer a wide variety of help and information. If someone has a bad experience on your site or with your product talk to them. 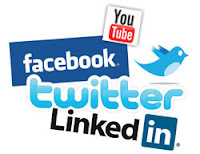 Don’t just “sell” yourself on Social Media – people will become bored. 10. What tips on PPC can you give our readers? b. Day parting – some days convert better than others. c. Time parting – some hours of an individual day also convert better. d. Add sitelinks to your PPC adverts. They increase CTR (click through rate). e. Positive reviews. If you have over 30 positive reviews on your product make sure they are coming through in your ads. Again the star seller ratings increase CTR. f. Use your keyword research to plan out you Campaigns and Adgroups. g. Constantly manage your bids. Position 3-4 may convert better than position 1.
h. Never give up – you don’t have a business if you can’t make Google PPC pay for you. 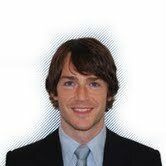 Louis Rix is the Marketing Director for Netcars.com one of the fastest growing online automotive sites in the UK. : I must say, you have one of the best blogs Ive seen in a long time. What I wouldnt give to be able to create a blog thats as exciting as this. I guess Ill just have to keep reading yours and hope that one day I can write about a topic with much knowledge and have at it! Do you guys feel PPC should be used along side SEO for best results or is a good quality SEO campaign not the most cost effective solution? The tips are really helpful, specially I like "Constantly engage via Social", creating a fan page really help to increase the traffic. Many thanks for sharing these all suggestions which all are very beneficial. Hoping that you will continue posting an article having a useful information. How to promote a site with a small number of pages? Marvellous write-up you have produced proper here! The world wide web is stuffed with horrid authorship and I used to be taken hold of by your lucidity. Your closings are dead-on and I will forthwith subscribe for your rss feed to stay up to date using up approaching postings. It has been a good pleasure.